This Strawberries & Whipped Coconut Cream recipe is dairy-free so it’s a Paleo-Primal friendly and also Vegan and Plant-based friendly. DIRECTIONS–put the beaters for your hand mixer or stand mixer and a medium size metal bowl (best) or glass bowl or bowl of your stand mixer in the freezer overnight or at least for an hour or two. If using canned coconut milk, the easiest way to get the coconut is to turn the can upside down THEN refrigerate it overnight or at least for several hours. Gently turn chilled can right side up. taking care not to disturb contents. Open can and scoop out thick cream on top, leaving liquid behind and add to the chilled bowl. Use just the thick cream to make your whipped cream and use the liquid for another recipe like a smoothie. If using frozen coconut milk, thaw just to the point that you can break it up, add to the metal bowl then stir well. Using the frozen beaters, beat the coconut milk on high speed with a hand mixer until it is light and fluffy and forms soft peaks just like regular whipped cream. Mix in sweetener of choice, if using taking care not to over beat the whipped cream, or it will turn into coconut butter. Whipped coconut cream sometimes gets firmer when chilled. 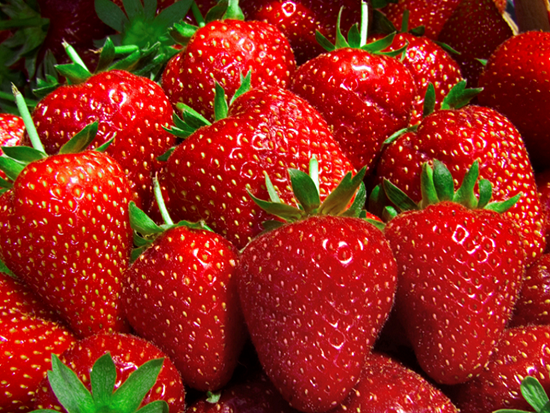 In the meantime, wash, remove stems, and slice strawberries or other fruit, of choice. Or leave fruit whole if using it to dip into the coconut whipped cream. Please buy organic strawberries and blueberries they are on the Dirty Dozen list of the most heavily sprayed produce or use other berries or a mix of fresh fruits. Arrange sliced strawberries or other fruit in a dessert bowl or individual cups and top with the fresh coconut whipped cream. 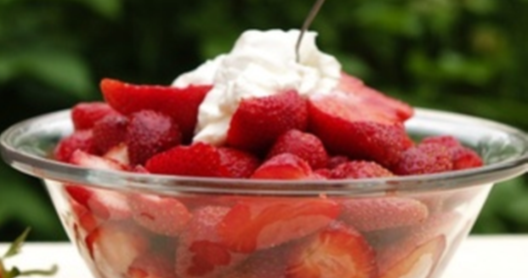 Or arrange whole strawberries on a small plate and spoon whipped coconut cream into a small sauce dish for dipping. Store unused whipped cream in an airtight container in the refrigerator and use within a few days. You can also freeze any unused portion. Although still good tasting, it won’t be light and fluffy when you thaw it. If freezing, it will work better if you dollop the whipped cream into individual servings then freeze each one. Then you can simply put each frozen dollop on your dessert before serving.